David Lloyd spent 17 years as one of Britain’s foremost professionals on the international tennis circuit. As an established member of the British Davis Cup Team for nine years he was unbeaten in home ties, and in 1978 they reached the final of the Davis Cup – the most successful team for 50 years. In July 1995, he became Captain of the Davis Cup Team, where he has taken up responsibility for team selection and training. Upon his retirement from the circuit in 1981, he founded David Lloyd Leisure, the holding company that owns and operates the David Lloyd Clubs, the high quality sport and leisure clubs. 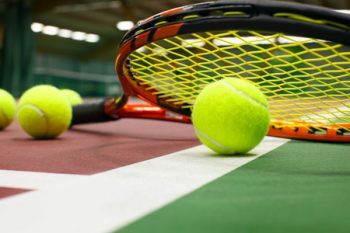 In the last 5 years, David Lloyd Leisure has grown rapidly and is now not only the market leader in the ownership and operation of high quality tennis and fitness based leisure clubs, but is also one of the largest sport and leisure groups in Europe. David Lloyd was named as Entrepreneur of the Year in the 1994 PLC Awards – the City’s Oscars. He took the teamwork and motivation skills he developed in the sporting arena and applied them to managing his highly successful business. Staff involvement, motivation and customer service are at the heart of his business principles, which he is keen to share with business audiences.